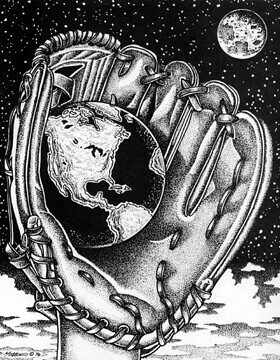 This was a t-shirt design I illustrated back in '96 for the Softball World Series. At the time I was told it was a strong seller. I'm not sure if they're still selling it. All these years later I'm still pretty happy with it... and I don't say that about most of my work.